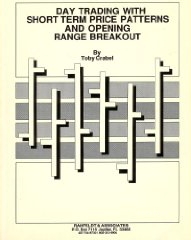 Toby Crabel was kind enough to personally give me a copy, but I was surprised that this random guy would actually send me the whole copy of Crabel’s book thinking that I would go ahead and post the open range breakout PDF. This “reader” is a jackass. Listen to my interview with Toby for free here on the Trend Following Podcast Trading Legends Episode.